National UNITY Council Co-President Interviewed for Thanksgiving Story – UNITY, Inc. The following story was published on the act.mtv.com website on November 26, 2014. How Do Native Americans Really Feel About Thanksgiving? We’ve all heard the story of the first Thanksgiving, but how much of what we’ve been told is true and how much of it has turned to legend over the years? And while the original Thanksgiving is supposed to be about a meal between the Pilgrims and the Wampanoags, Thanksgiving now rarely puts any attention on the Native Americans involved or how Natives view Thanksgiving today. To get a Native perspective, I spoke with Brian Moskwetah Weeden, a member of the Mashpee Wampanoag Tribe. 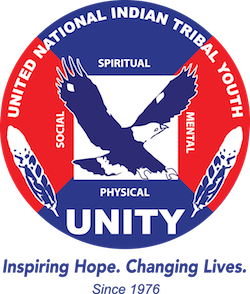 He is the Male Co-President of the United National Indian Tribal Youth (UNITY), a member of the Mashpee Wampanoag Tribes Enrollment Committee and Youth Advisory Committee and a Chairman to the 2014 Pow Wow Committee.